It was only a week since I was last in Milan, but stepping out of central station I felt things were going to be different this time. This city had already captured my heart, but the buzz of fashion week could be felt. For once my eccentric style and neon color palette seemed to be the norm. 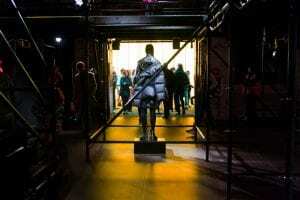 With People draped in colorful and mesmerizing outfits, it seemed that the runways were on the streets. I may not have had an invite to a top tier show, but I knew Milan Fashion week was going to be a memorable experience. Straight off our train, we put our bags away and hit the streets. 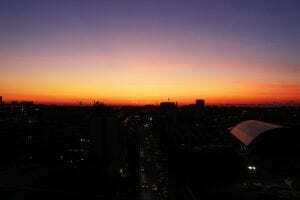 The atmosphere of Milan night life was exciting. There were crowds of people spilling out into the streets. After being up nearly till sunrise we were able to still get back up and start the next day fairly early. Emerging out of the subway we looked like a mini collection. Random, yet perfectly coordinated we stood in awe at the way Piazza del Duomo came alive. I was filled with triple the amount of people I had experienced the Tuesday before. 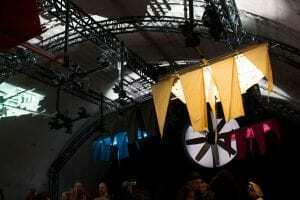 We spent time walking around looking at stores and boutiques, finally ending up at the buyers show for fashion week. Everything was so well displayed and coordinated. The later part of the day was filled with sightseeing and ended with an amazing Peruvian feast. Thanks to one of my friends and her relatives we went to this restaurant that made me feel as if I was back home in Miami. 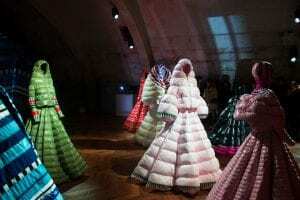 The second day I set out to attend Moncler Genius’ public show. In the subway station I ran into a friend who was also on their way to the show, so we went together. 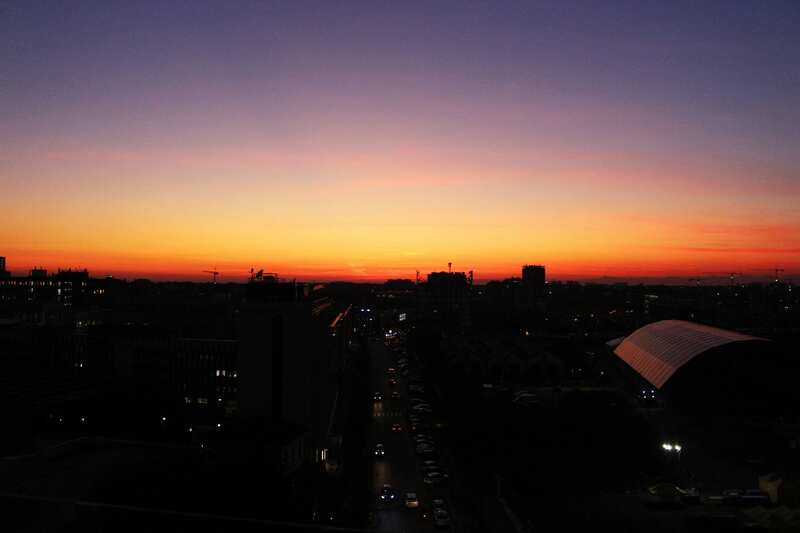 Upon arrival, a gigantic yellow brick stood tall against the horizon. The event was held at Magazzini Raccordati, a series of warehouses that held up the above ground train tracks. This space was an icon in the history of Milan. 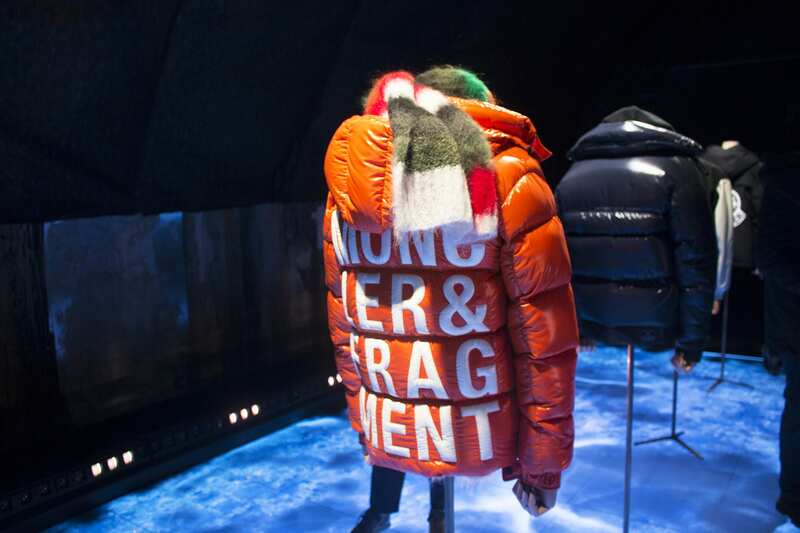 It was the perfect space to celebrate Moncler’s return to Milan with its Genius collaborations. Walking through the line you could feel the exuberant atmosphere. There were a series of rooms, each under the creative control of their enlisted designers. 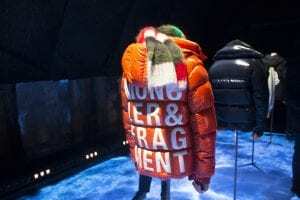 The designers entrusted with re-imagining the iconic Moncler jacket are Pierpaolo and Liya Kebede, Sergio Zambon and Veronica Leoni (Moncler 1952), Sandro Mandrino (Moncler Grenoble), Simone Rocha, Craig Green, Fragment Hiroshi Fujiwara, Palm Angels Francesco, and Poldo Dog Couture. Each exhibition room had a different energy and immersed its visitors as a participant rather than a viewer. 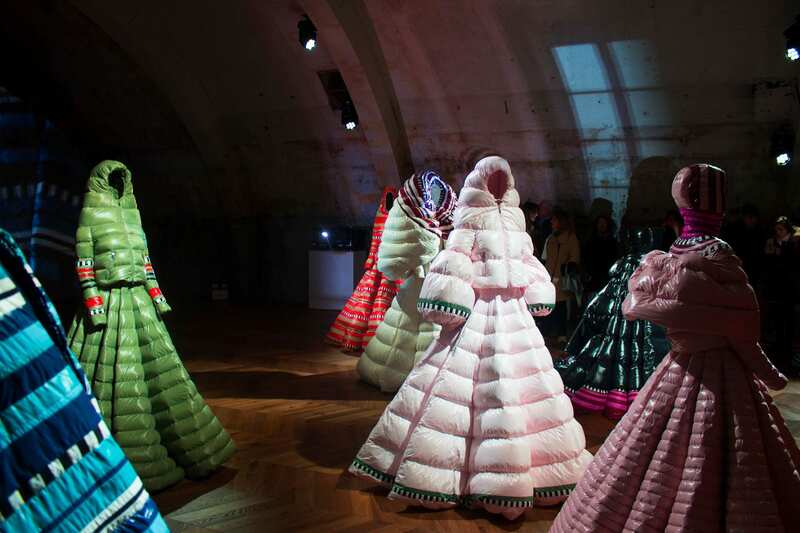 Moncler’s Genius endeavor is changing the relationship the fashion industry has with it’s buyers and supporters. 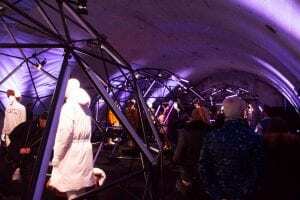 By breaking down that barrier of exclusivity and inviting the public to enjoy their experiential spaces they are pioneering in a transition within the industry. 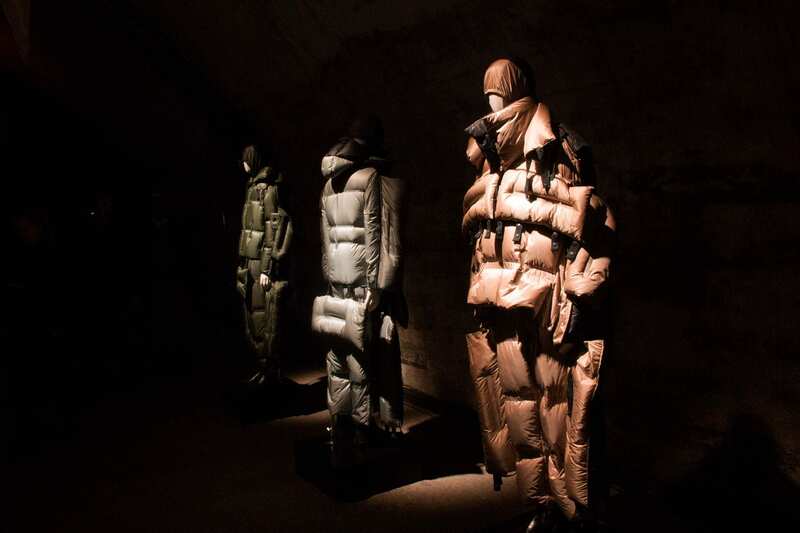 After leaving the Moncler show I decided to stop by a few art galleries and spaces that had events for fashion week. 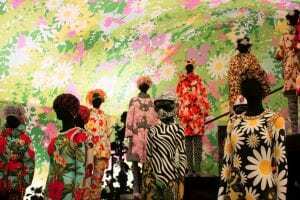 I visited 10 corso Como and stumbled upon an amazing exhibition of Masahisa Fukase’s, Japanese photographer, work. This trip left me inspired. As I reflected on what was one of the best weekends I had experienced, I couldn’t help but feel grateful. Grateful for these amazing opportunities at such a young age and to take full advantage of them. Milan now has a special place in my heart. So if you ever find yourself in Europe, more specifically Italy, I have to say, “Milan is a MUST!”.